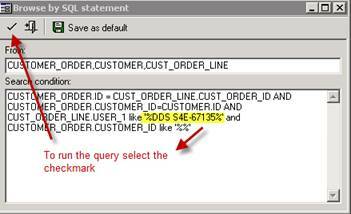 Infor VISUAL Support Tips & News: Did you know you can search Line Data from the Order Header using the SQL Search Function? 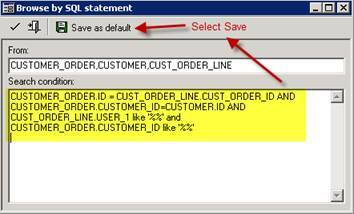 Did you know you can search Line Data from the Order Header using the SQL Search Function? 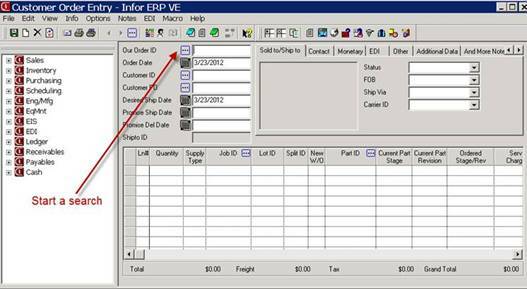 We will use Customer Order Entry to walk through this example, although this same concept can be used in other areas of VISUAL. 1. Open customer Order Entry and start a search using the ellipse or the magnifying glass icons, depending on which version of VISUAL you are using. 4. 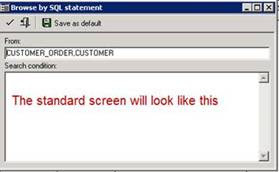 Copy the following (without the quotes) “CUSTOMER_ORDER,CUSTOMER,CUST_ORDER_LINE” into the “From” window. 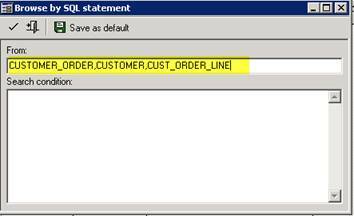 Notice how the CUST_ORDER_LINE table was added. 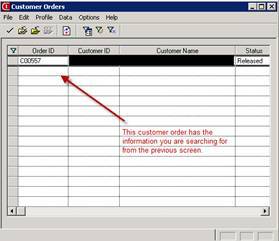 “CUSTOMER_ORDER.ID = CUST_ORDER_LINE.CUST_ORDER_ID AND CUSTOMER_ORDER.CUSTOMER_ID=CUSTOMER.ID AND CUST_ORDER_LINE.USER_1 like '%%' and CUSTOMER_ORDER.CUSTOMER_ID like '%%' "
Notice the table links are in this query- this is essential to the where clause of a SQL statement. 6. Enter the criteria between the percentage signs. 7. 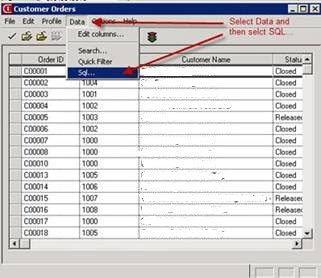 Select the row and it will open the customer order.